With Comic-Con starting in just two shorts days, Hasbro sent over a number of their Comic-Con exclusives to the Collider office. The first thing I noticed when the boxes arrived was the size. 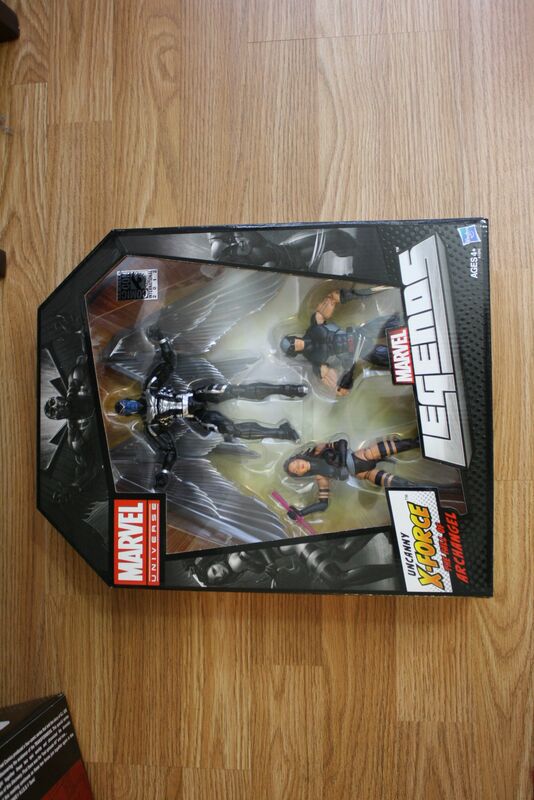 While I’d known they were going to sell a limited edition S.H.I.E.L.D. Super Hellicarrier, I had no idea it would be one of the biggest toys I’d ever seen. You almost need two people to lift the box. In addition to the preposterously huge Hellicarrier, they sent over a very cool Star Wars exclusive called the Carbonite Chamber. 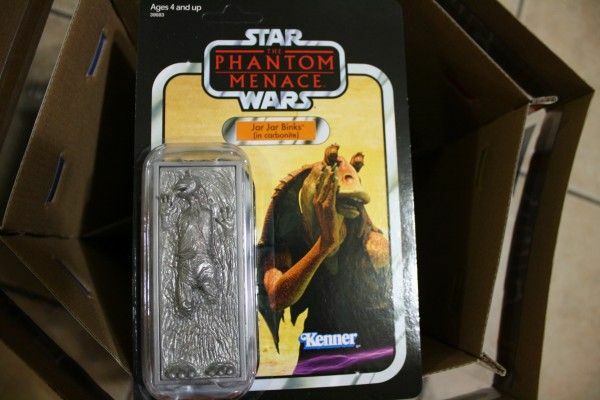 As you might have guessed from the title, the packaging is inspired from the classic scene in The Empire Strikes Back and it comes with the only Jar Jar Binks figure worth owning: Jar Jar in Carbonite. While I absolutely hate Jar Jar, the figure is pretty cool. Hit the jump for more. Since Hasbro only sent over a few of the exclusives, I’ve grabbed all the official press photos and mixed them in with my photos. The ones I took are towards the bottom. I have to say, as a recovering toy addict, I’m very impressed with what Hasbro is offering this year. The Hellicarrier is amazing and if you’re a parent of a kid that loved The Avengers, you should really think about buying one. They’d love it. 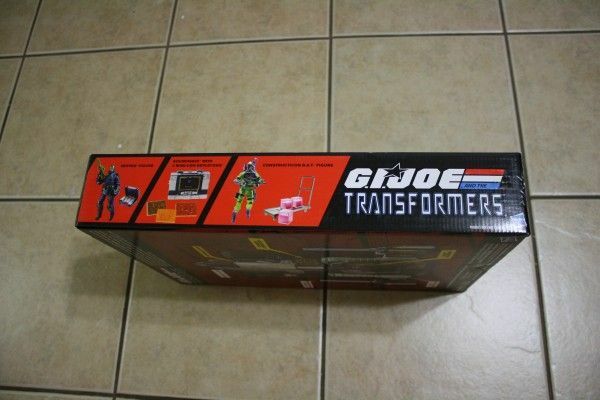 Below the photos is price and exact info via Hasbro. The special edition items will be available at the HasbroToyShop booth (#3329) at Comic-Con International starting on Preview Night, July 11th (while supplies last), as well as in very limited quantities after the show at HasbroToyShop.com. Highlights of the range of special edition toys include a one-of-a-kind chance to own JAR JAR BINKS from the STAR WARS films encased in Carbonite, a huge TRANSFORMERS DECEPTICON ‘Combiner’ figure based on the hotly anticipated video game TRANSFORMERS: FALL OF CYBERTRON, a fan-favorite Pony character from the hit Hasbro Studios produced TV series My Little Pony Friendship is Magic and even a massive vehicle from MARVEL’s THE AVENGERS franchise! The baddest female ninja around will return in the blockbuster film, G.I. Joe: Retaliation, scheduled to hit theaters on March 29th, 2013 in 3D, but first, KIM ARASHIKAGE is making an appearance at San Diego Comic-Con. As the latest G.I. JOE Comic-Con special edition figure, Hasbro will be releasing two 3.75” movie likeness versions of the fan-favorite ninja. The primary KIM ARASHIKAGE figure is dressed in her classic red ninja suit with a double bladed bisentō, while the unmasked variant is wearing a white outfit and wielding a kusarigama. After the extreme popularity of last year’s G.I. 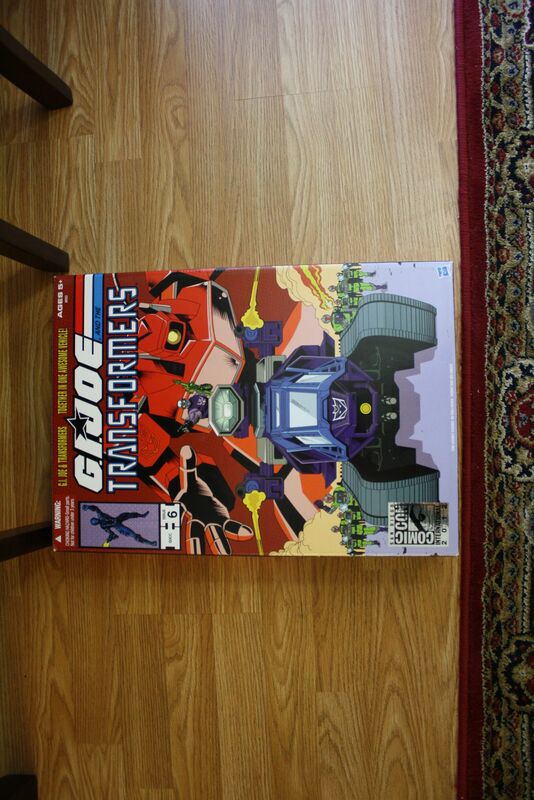 JOE and TRANSFORMERS crossover San Diego Comic-Con special edition offering, Hasbro has done it again! In 2012, the iconic G.I. JOE vehicle, the H.I.S.S. 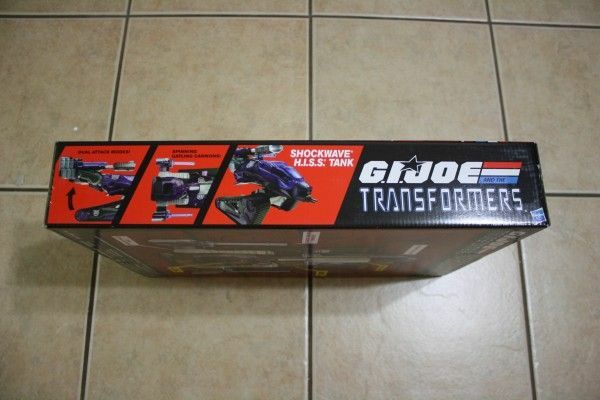 TANK, will get a DECEPTICON SHOCKWAVE make-over, including a G1 SHOCKWAVE blaster attachment. 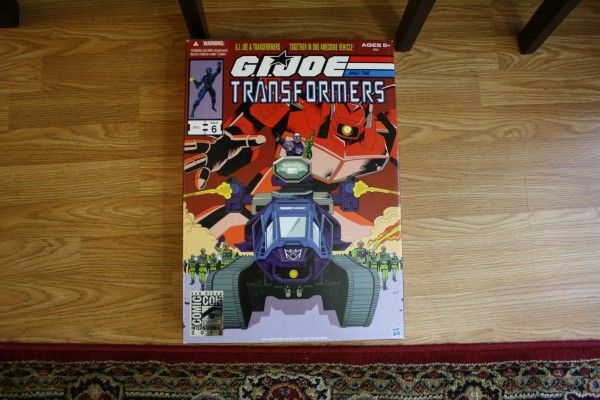 The set comes with a 3.75” DESTRO action figure with special edition DECEPTICON deco, a 3.75” COBRA B.A.T. figure with special edition CONSTRUCTICON deco. 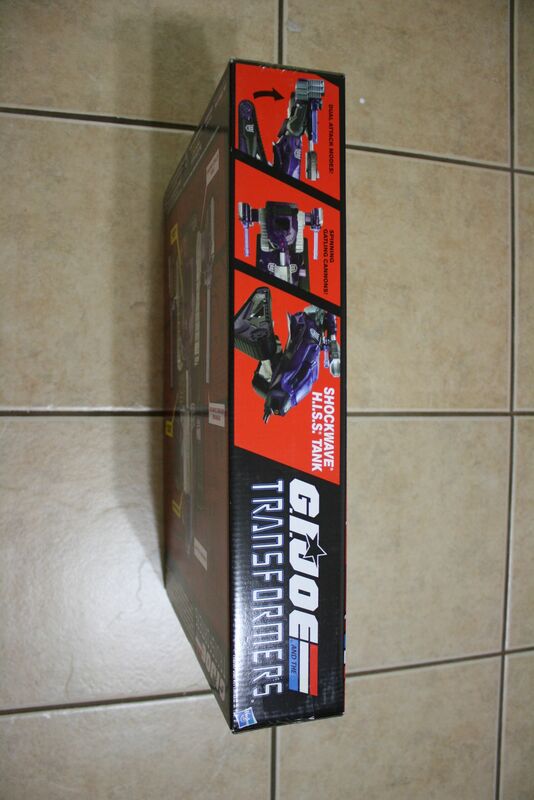 The set also comes with several ENERGON cubes on a cart, a briefcase full of money, and a small boom box with 3 cassette tapes- better known to TRANSFORMERS fans as the classic alt-mode of DECEPTICON spy SOUNDWAVE along with RATBAT, LASERBEAK, and RAVAGE. Yo, Joe AND Roll Out! Under license from Hasbro, fans will have a truly outrageous time when they see JEM AND THE HOLOGRAMS Special Edition doll: HOLLYWOOD JEM! The fully articulated HOLLYWOOD JEM doll stands 12 inches tall and features rooted pink hair and stunning long eyelashes. Looking fabulously fashionable in capri pants, black high-heel pumps, and a shiny gold-toned jacket (complete with shoulder pads! ), HOLLYWOOD JEM is ready to rock the stage. As the leader of JEM AND THE HOLOGRAMS, the HOLLYWOOD JEM doll comes complete with a microphone and silver chromed microphone stand. When the tour is complete, fans can display their doll proudly using the included doll stand. Each HOLLYWOOD JEM Special Edition Doll comes with a certificate of authenticity and a souvenir postcard with artwork from the original JEM AND THE HOLOGRAMS line. Following the convention, a limited number will be available on HasbroToyShop.com. 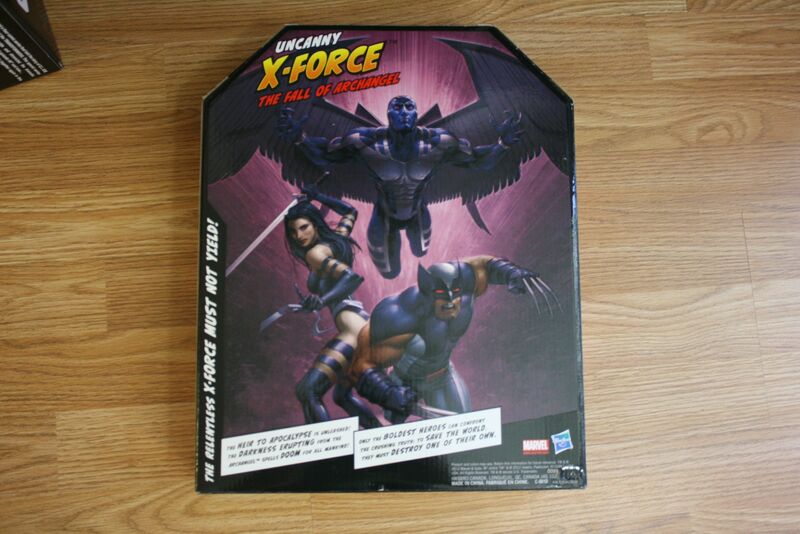 Collectors will have a chance to get their ADAMANTIUM claws on these X-FORCE figures in 6” scale for the first time! Featuring ARCHANGEL, WOLVERINE, and PSYLOCKE in outfits from The Fall of Archangel story line, this set comes in a collectible display box with exclusive art by well known comic artist Clayton Crain! Fueled by a raging need for vengeance against CAPTAIN AMERICA, BARON ZEMO hatches a masterful plan. Not foolish enough to face the AVENGERS alone, he strategically forms one of the most powerful groups of villains ever assembled. 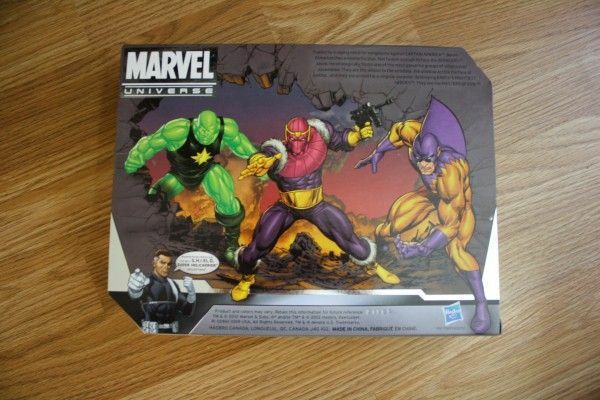 The MASTERS OF EVIL 3-Pack includes BARON ZEMO, RADIOACTIVE MAN and TIGER SHARK all appearing in 3.75” scale, and united for a singular purpose: destroying EARTH’S MIGHTIEST HEROES. 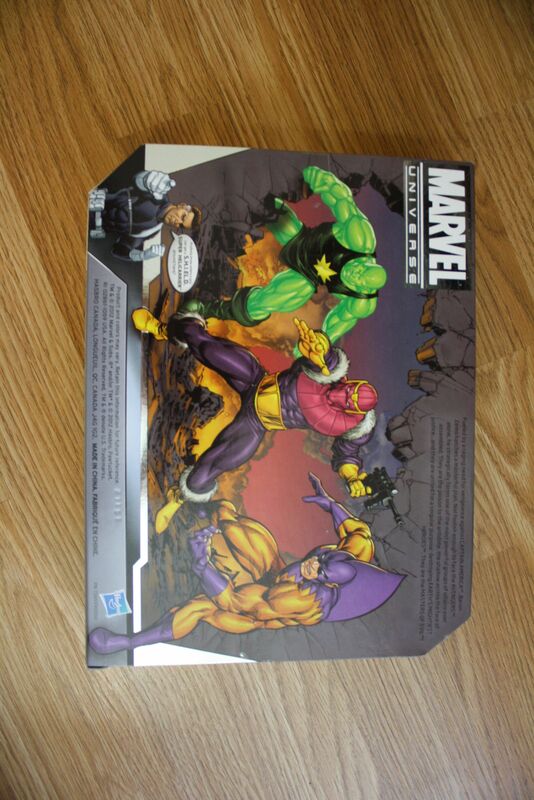 The villains can also be seen fighting against THE AVENGERS in the exclusive art by Joe Quesada on the SDCC exclusive THE AVENGERS HELICARRIER. (sold separately). Get ready to explore Hasbro’s biggest SDCC release yet! 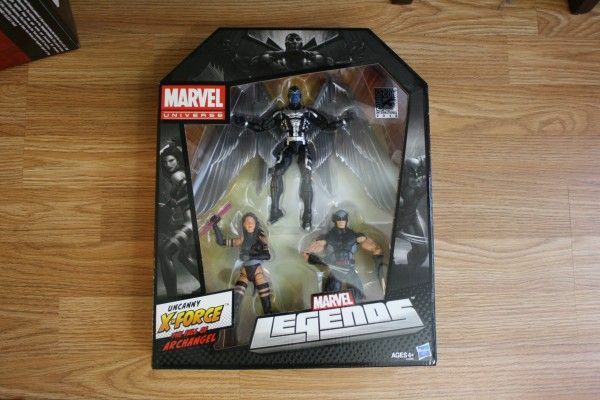 Featuring an exclusive deco, this S.H.I.E.L.D. SUPER HELICARRIER is over 4 feet long! 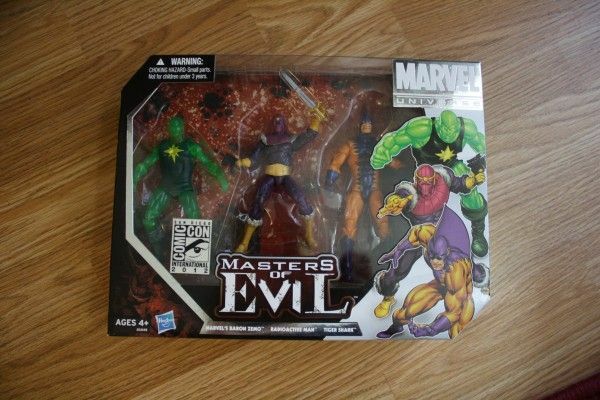 In addition, it features 9 working projectile launchers for taking out enemies such as the Masters of Evil (sold separately). This special edition vehicle also features exclusive CAPTAIN AMERICA and MARIA HILL 3.75” figures and specially commissioned box artwork by Joe Quesada. The popular special edition MY LITTLE PONY figure, available this year at the MY LITTLE PONY Fair and Convention and San Diego Comic-Con, is sure to be a fan favorite in 2012! Inspired by the animated series “My Little Pony Friendship is Magic,” this gray, Pegasus pony features rooted blonde hair and a cluster of bubbles for a cutie mark. Following both conventions, a limited number will be available on HasbroToyShop.com. Pretend to visit an alternate reality with this incredible package of seven 3.75” STAR WARS figures—one figure from each film in the Saga, and one figure only available in this collectible set. Each figure is individually carded with packaging that pays tribute to a “lost” line look that Kenner considered before going with their classic black-and-silver look! This Comic-Con special edition pack will be fans’ first chance to get the “lost” packaging, available this fall as variants in the STAR WARS VINTAGE COLLECTION line. 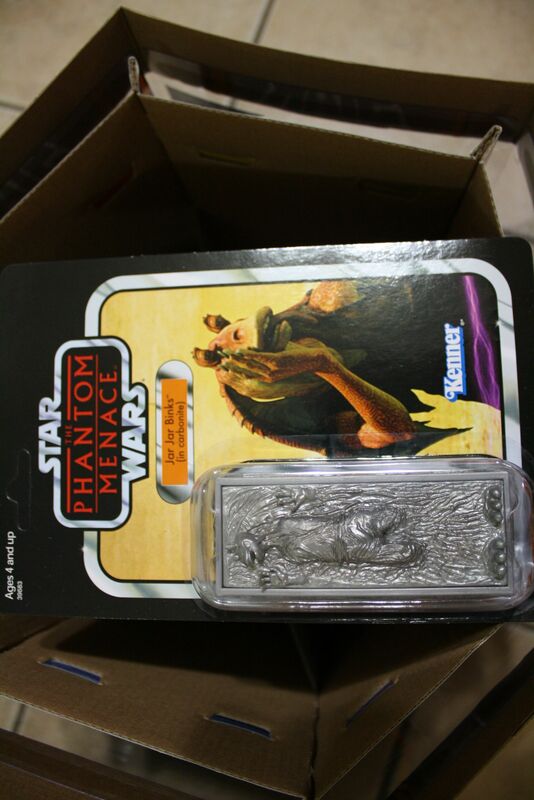 In addition, this special collector’s pack will be the only place to get an exclusive treat for fans— a 3.75” carded JAR JAR BINKS in CARBONITE, which will be hidden in the center of the packaging and can be revealed by raising it through the “CARBONITE CHAMBER” top of the case. The other figures included are a standard JAR JAR BINKS (EPISODE I), CLONE TROOPER LIEUTENANT (EPISODE II), SHOCK TROOPER (EPISODE III), SANDTROOPER (EPISODE IV), PRINCESS LEIA (EPISODE V) AND DARTH VADER (EPISODE VI). The DARK ENERGON will be flowing through San Diego this year with the release of this special edition Deluxe scale TERRORCON CLIFFJUMPER figure. Featuring a special “TRANSFORMERS zombie” deco, this figure looks just like he did in the Darkness Rising storyline of Hasbro Studios TRANSFORMERS PRIME animated series. 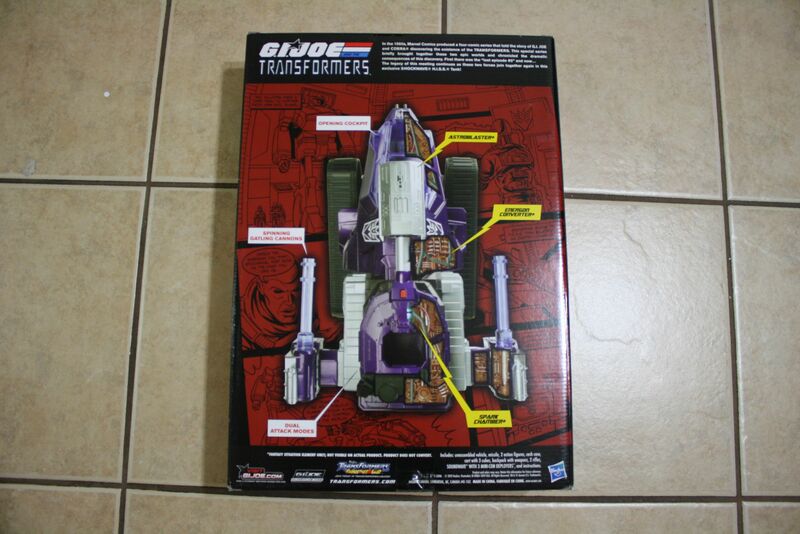 This figure comes with a DARK ENERGON shard and a DARK ENERGON chest attachment in a special edition clam shell packaging designed to look like his head. The TRANSFORMERS DELUXE BRUTICUS COMBINER San Diego Comic-Con special edition set features the fearsome DECEPTICON, BRUTICUS in a special CYBERTRONIAN deco as seen in the eagerly anticipated video game TRANSFORMERS: FALL OF CYBERTRON from Activision. BRUTICUS is formed when all five Deluxe scale ‘combiner’ action figures in the set link together. The COMBATICONS characters BLAST OFF, VORTEX, DECEPTICON BRAWL, SWINDLE, and ONSLAUGHT each have three modes: robot, vehicle and a third ‘combiner’ mode to link together. 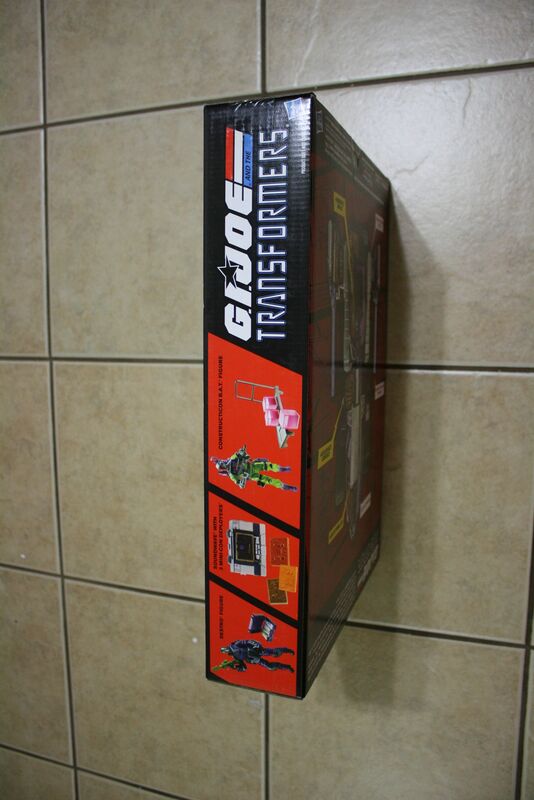 This special edition set also includes removable packaging resembling a silhouette of the DECEPTICON logo that becomes a display case for the BRUTICUS figure.